Netflix users will be happy to hear that there’s a new version of the iOS client available for download today. The update, which brings the app to version 4.0, includes a handful of new features, as well as the usual bug fixes and improvements. The list of changes may be short, but I have to say that the new episode selector for the iPad is actually pretty handy. 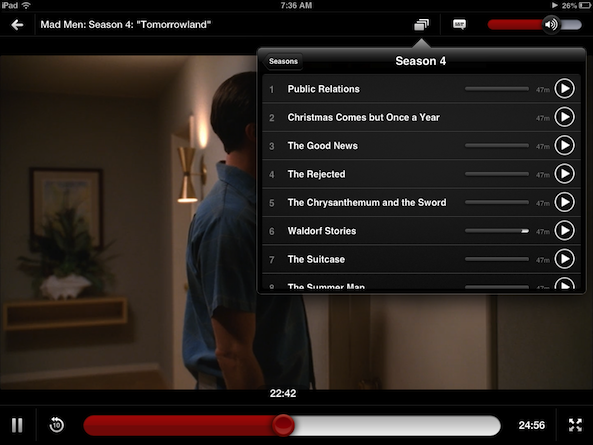 It allows you to quickly view, and choose from, a list of episodes from the active season of a TV show while you’re watching it. 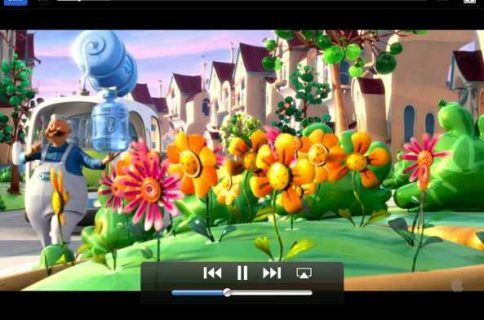 That alone is worth the download, but the revamped audio and subtitle toggles are also nice. Instead of having to open a new window to access these options, they are now available in a small popup menu that makes them much more convenient. 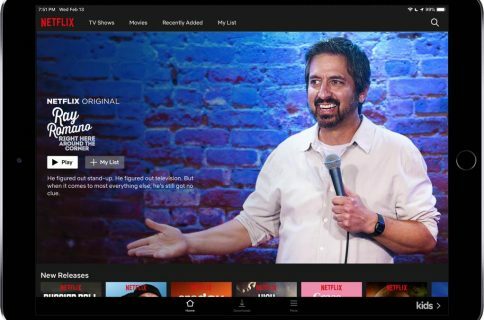 If you ever watch Netflix on the go—particularly on your iPad, then this update is a no-brainer. If you don’t already have the Netflix app, you can find it in the App Store, for the iPhone and iPad, for free. Keep in mind, the service is $7.99 per month.